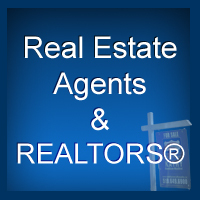 The term Realtor is a trademarked name that can be used only by members of the Canadian Real Estate Association. One of the main requirements is that a member must become a registrant of their local and provincial (where applicable) real estate boards. Many real estate Brokers (especially residential real estate Brokers) find the services offered through those organizations beneficial. ICR Commercial Real Estate, as well as its Brokers and Real Estate Associates are licensed through the Saskatchewan Real Estate Commission and as such must adhere to the Commission Bylaws as well as the Real Estate Act of Saskatchewan. Now that I have that cleared up here are a couple of other terms that do not specifically apply to me. As commercial real estate brokers we have the opportunity to tour, sell and lease many different commercial properties. We are therefore in an ideal position to provide up to date, accurate market valuations. We have a full time Market Analyst that develops valuable information to help predict market price variations and future vacancy estimates. Our clients have come to rely on our valuations to make important investment decisions. If however you need an appraisal for your financial institution it’s likely we can’t help you. They will require a report prepared by an appraiser who has an “AIC” designation. Make sure the appraiser you engage is a commercial specialist and is on the list of firms acceptable to your bank. A large part of our duties can be dealing with existing tenancies. We are often under long term contracts to negotiate lease renewals (see “4 reasons you need representation in your lease renewal negotiation”), expand and relocate tenants within a development. As a Broker working in our brokerage division I do not however handle the ongoing physical and financial management of property. Property Managers offer an important service necessary for maximizing the asset value of commercial real estate. ICR is a full service commercial real estate firm which offers both property management and brokerage services. We can therefore provide high level diversified synergies to our clients. Realtors, Appraisers & Property Managers are highly specialized professionals who can play a critical role in our industry. They are titles however that cannot be applied to me.